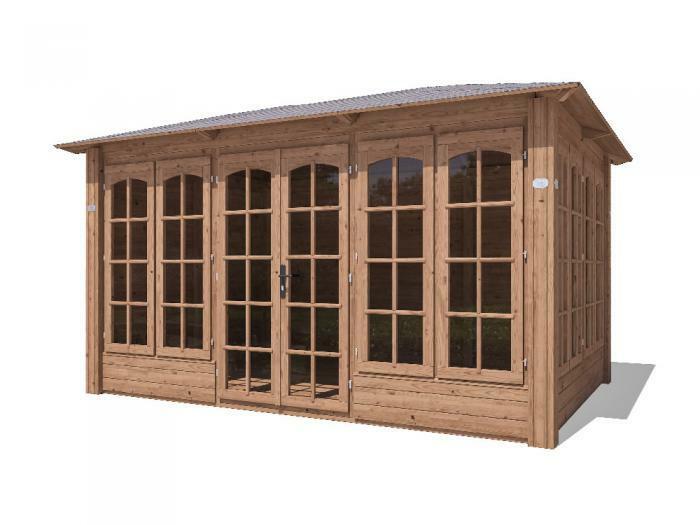 Our Roget Chunky Summerhouse is pressure treated against rot and insect infestation for up to 10 years making it very low maintenance. It has 4mm toughened glass in all windows and doors. 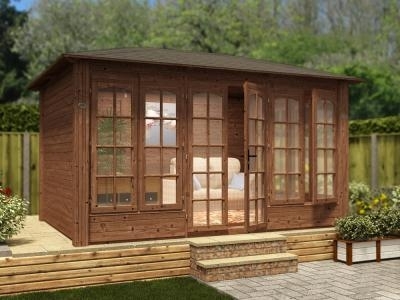 It features massive corners and heavy duty timbers throughout. It is a tall structure with high eaves of 1.93m (6’3’’). Both floor and roof are made of individual boards, 19mm thick, for strength and appearance.